(5) Disconnect the equalizer beams (par. 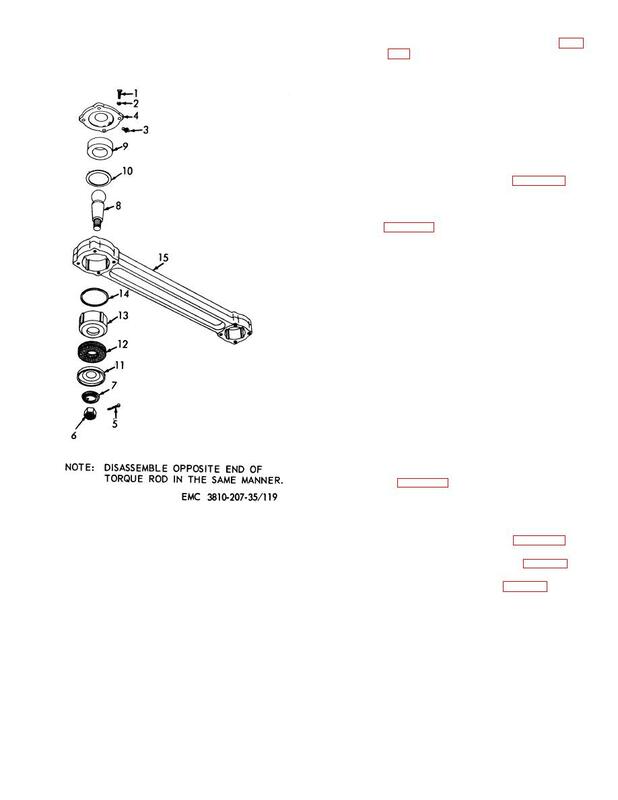 assemblies as instructed on figure 122.
all damaged or defective parts. as illustrated on figure 123.
assemblies as illustrated on figure 122. (2) Connect the equalizer beams (par. 417). (3) Connect the torque rods (par. 413). (4) Install the rear axle (TM 5-3810207-20). Figure 119. Torque rod assembly, exploded view.